Last week, because everyone decided that getting married was way more important than actually stopping Fiona, the Black Fairy. She unleashes her curse on everyone. While Snow, David and Regina have all been zapped to the Enchanted Forest. While Henry is running around as the only person who knows what is happening and trying to convince Emma that magic is real. Again (Fiona is also playing his mother, having completely filled Regina’s role in the curse). This again leaves us in the awkward situation where the good guys demand people believe in fairies, magic and that sharp hooks are reasonable prosthetics without any kind of evidence at all and not doing so is apparently a bad thing. It was weird in season 1 and it’s even more weird now. While Henry is trying to encourage everyone to embrace make believe, not everything is going Fiona’s way. Because she’s also got to convince Rumple and Gideon to go along with her fantasy world. Rumple is struggling, not believing that Belle has run out on them when Gideon was a baby (leaving Fiona to act as mother figure for Gideon). If nothing else with Rumple, we know he is always desperately obsessed with Belle and there’s no way that he’s going to let a few photographs produces by Fiona convince him that she’s gone on a world tour. This is the last battle. No big sword fight – but a battle for Emma’s soul, in making her embrace terrifying delusion of magic, or everyone she loves dies. Henry tries to step it up, but Fiona is far craftier. He tries to get Rumple onside – who is awake. Of course he is, because Rumple never gets caught in his own curses – but he’s obsessed with Belle and not ready to save the world. He tries to get through to Emma but Fiona outflanks him and instead convinces Emma that she has to crush her own “delusions” in order to save Henry from himself. In the Enchanted Forest things are going from bad to worse – Killian and David have found a beanstalk to climb (a nice call back to how Killian and Emma first met) to try and get their hands on a magic bean to get everyone out, complete with dragon duelling and David nearly dying but being revived by Snow White’s kiss (because kisses are now first aid in Storybrooke). They get the bean back to the castle – but there’s little magic left with the loss of the Saviour’s faith. The castle is pulled into the void of the curse as more and more worlds go down – and the Evil Queen (who moved on to a different world because the wish world that Regina sent them too had the downside of the Evil Queen being considered evil. So she and Robin have taken to robbing the rich and giving… most of it to the poor. I do like her) shows her full redemption pathway by sacrificing herself to buy everyone more time. It’s like an ultimate martyrdom for Regina without her having to martyr herself. When even the dark side of Regina is now willing to give up everything so everyone else can live. In the real world Emma arrives in Boston to find that Henry has sent her a delivery – a new storybook, hand written by himself, depicting all the adventures Emma has. All she has achieved. Apparently a hand written book is all it takes to convince Emma, because she heads back to join Henry on his battle against the Black Fairy. Look I know this is supposed to be all about hope and belief – but I just can’t get on board with “I saw a sketch book so fairies are real” idea. And Emma finding that bit of belief, of the person she wants to be even if she’s not all there yet, means the Enchanted Forest clings on, a tiny island of survivors left to use the bean. On another front Rumple finds Belle – and the Dark Fairy has turned her into a terrified, agoraphobic shut in who can’t face the world and doesn’t know him. Rumple is not amused. An innocent trying to murder her. In self defence. This is apparently soul blackening and… c’mon Once Upon a Time, your plot is screaming here! And we know it’s real because the curse drops and everyone gets their memories back, including Belle. But that doesn’t free Baelfire with his magical compulsion so Rumple has to run to find his heart, which he does. And again he is tempted – this time by the Dark One on his should again pointing out how much power he could have, how he could have everything. And again Rumple makes the right choice and says no… but he can’t break the compulsion on the heart, the Black Fairy is too good for that. Emma, reunited by the newly portalled guys from storybrooke (having had Henry clong Gideon on the back of the head with a fire extinguisher to help them get away) has made the same realisation: murder Gideon and go dark or let the darkness win. And again he makes the right choice. OR you realise you have 1 pirate, 2 soggy Charmings, a Dark One, Regina, Henry, Belle, human who thinks he’s a cricket and a dog. You could just dog pile Gideon. You could just clong him in the head with a fire extinguisher again and lock him in a cage. Duct tape, wrap him in duct tape! There are OPTIONS here folks. Instead Emma decides to lower her sword because she refuses to kill and innocent. She lets him stab her in the name of hope and goodness and who even knows. It creates lots of fireworks and sparks and pretty lights though. Emma falls and Henry kisses her – True Loves First Aid Kiss. This breaks all curses, cures stab wounds, brings people back who fell into storyland (including the Evil Queen) and turns Gideon back into a baby. Henry sums up the remainder of the story “Good and Evil both did the right thing and the Last Battle was one”. To return to my previous point – this seems to be this entire episode and, to a degree, the entire season. There’s lots of holes, lots of plot failures and lots of woowoo being used to cover and heal everything. True Love’s kiss has gone beyond all rational and everything is just shaky as hell. This whole season finale feels like one hand wave after another with absolutely no real coherent logic. Magic is just rammed in to move the plot along and it’s a distinctly disappointing end to the actual season finale – it’s lazy, it’s weak, it’s shaky to say the least; I’m not impressed. But in some ways that makes me more frustrated because if this is going to be the LAST BATTLE and close off all these storylines then that’s even more reason to include a little more coherence than we have here. Show some respect for your creation and the end of the era – don’t brush it off this quickly, this clumsily. Doesn’t it deserve better than this? 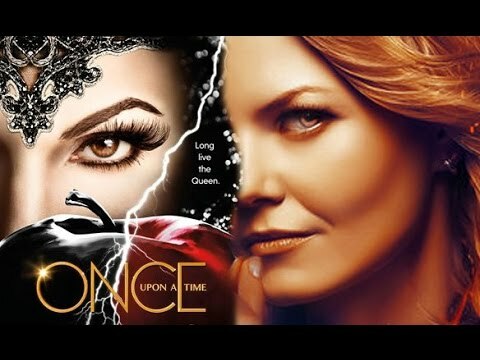 I am looking forward to the reboot though – a lot of the core cast of Once Upon a Time, especially Regina, Henry and even Emma have felt increasingly superfluous. Despite being the Saviour and having this big ominous legacy, Emma seems more focused on being the love interest of Killian than anything else. They feel like they have side character inserts more than main plot-line driving protagonists. Diversity wise it has also failed quite poorly. We have Regina, but, again, she’s kind of taken a big step back for many episodes. We’ve had bit part POC but they’ve largely been here for one or two episodes then faded out. I’m not even sure why Jasmine and Aladdin and Agrabah were even there for all the meaningful amount of input they have actually had on the show. Why were they there? Their aborted non-storyline was just thrown in to, what, world build Saviourness? And did Mulan and Dorothy even appear this season? This tiny, non-existent crumb of inclusions seems to have been 1 episode of tokenism to tick the LGBT box, never ever to be mentioned again. We’re coming to a reboot – so take the opportunity Once Upon a Time. Do better.